glow to go illuminating setting spray has a rating of 4.6 stars based on 8 reviews. Glow on! 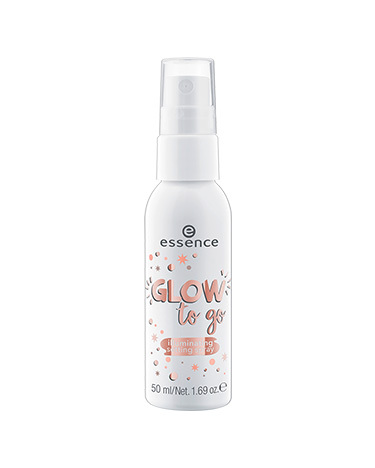 The essence glow to go illuminating setting spray instantly illuminates while setting your make up. Infused with fine light reflecting particles that leave your complexion with a delicate glow. Let your inner radiance shine. No animal testing. Vegan. Paraben Free.